Next time you plunge into a public swimming pool, take a moment to think of Jonas Salk, the man behind the polio vaccine. 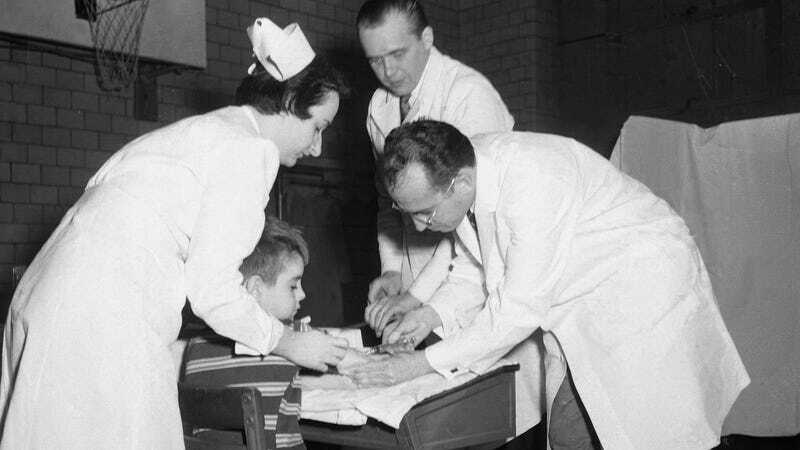 On this day in 1954, he launched the first mass inoculations against the much-feared virus. And, well, how many people do you know who ever had a polio scare?